Take cars out of your lot and cut facilities and transportation costs. Show your commitment to the employee experience by dramatically improving their commute. Foster a more energized, engaged, and productive workforce. Track your impact with monthly reports. Achieve your sustainability goals with ease. 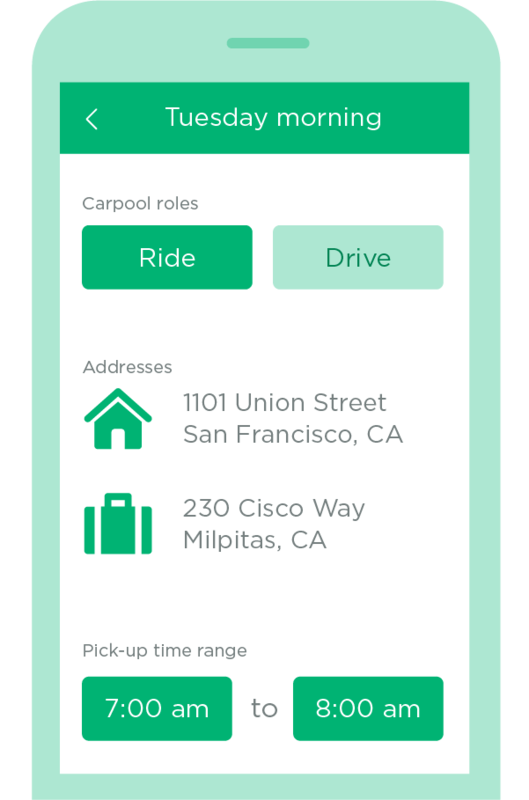 Companies work with Scoop to make carpooling the preferred commute choice for their employees. Backed by our Partner Success Team, the Managed Carpool Program enables employers to offer a customized end-to-end carpooling program. Interested in becoming a partner? Let’s talk. On-site events and a proven playbook of marketing tactics drive adoption across your organization. Track your results with monthly usage reports. SOV reduction, CO2 emissions saved, and more. Scoop will be optimized according to your employee commuting patterns. We will create an experience tailored specifically to your organization. Let’s talk about how convenient carpooling can help enrich the lives of your employees. 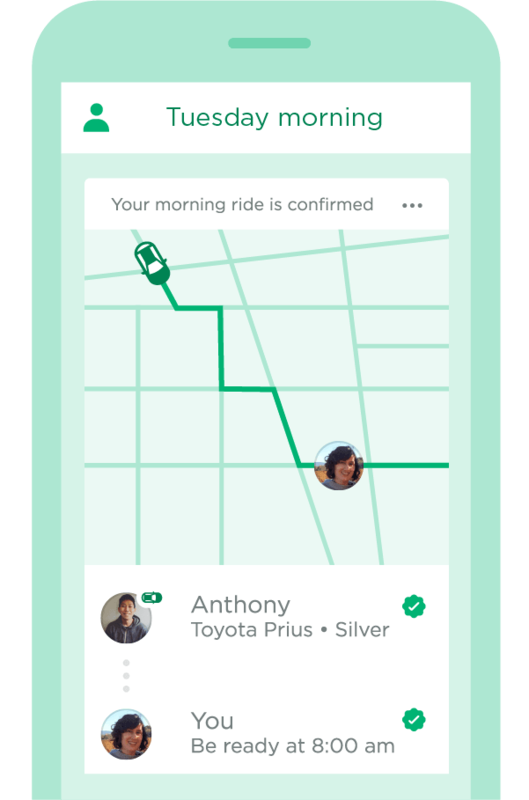 Scoop will design a custom Managed Carpool Program for your enterprise. Together, we’ll encourage employees to experience their improved commute solution. Events, digital collateral, strategic comms, and custom executions included. See the impact with our reporting, hear directly from carpoolers whose lives have been enriched by Scoop, and continue to grow adoption. Represent a city, agency, or municipality? Scoop has partnered with partners of all shapes and sizes. Connect with our team to learn how carpooling can help your organization. Empower your employees to carpool today.